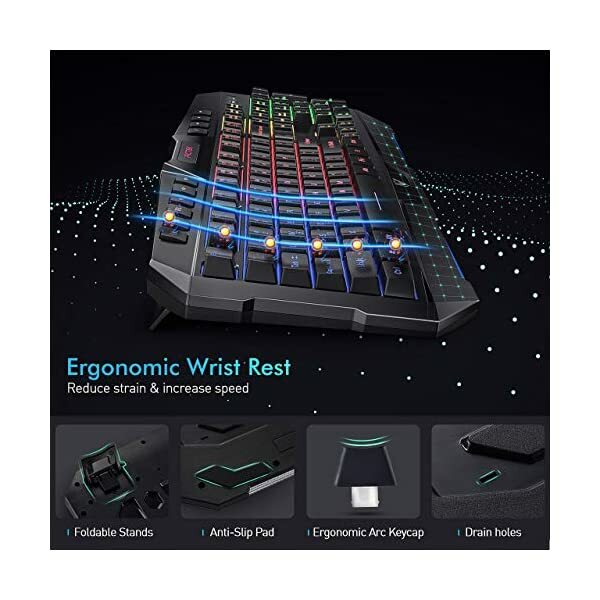 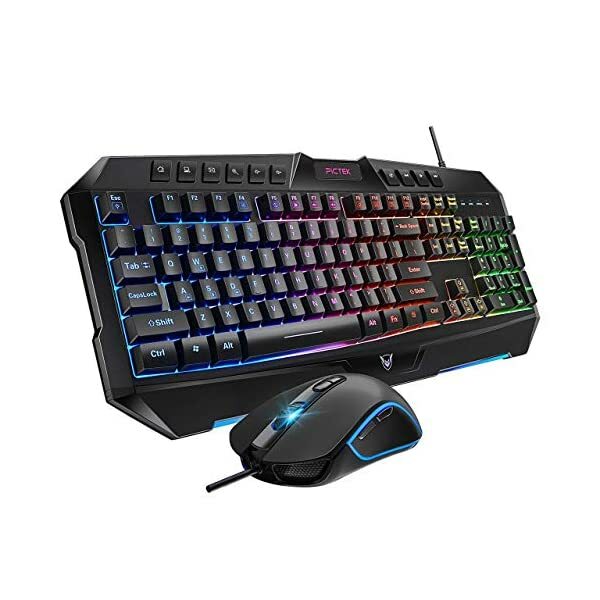 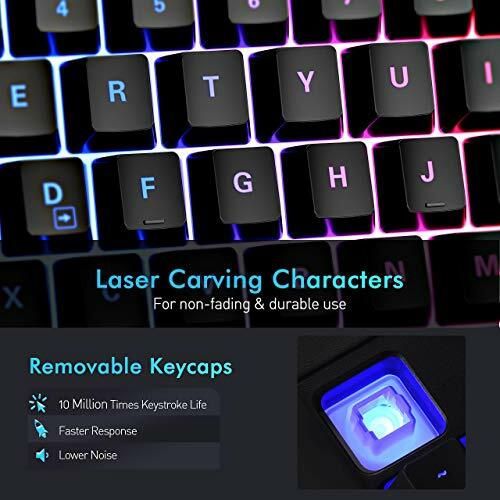 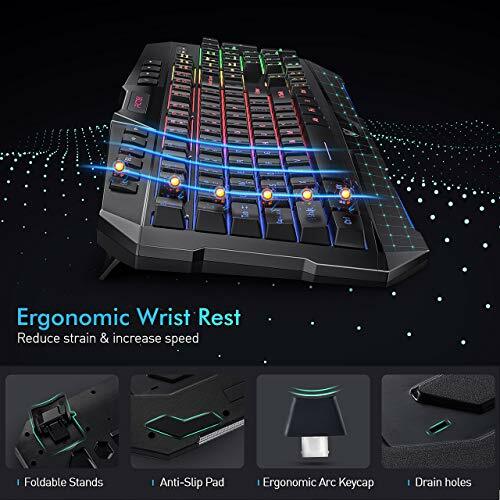 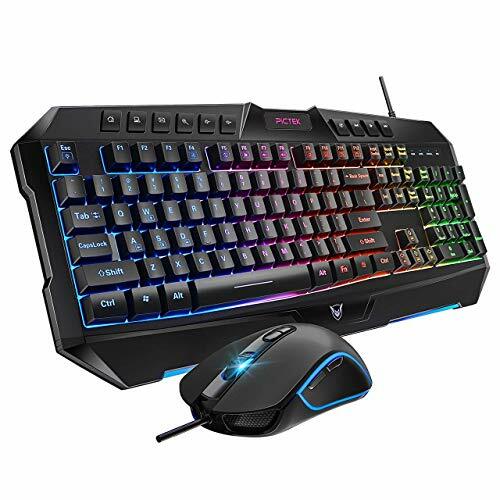 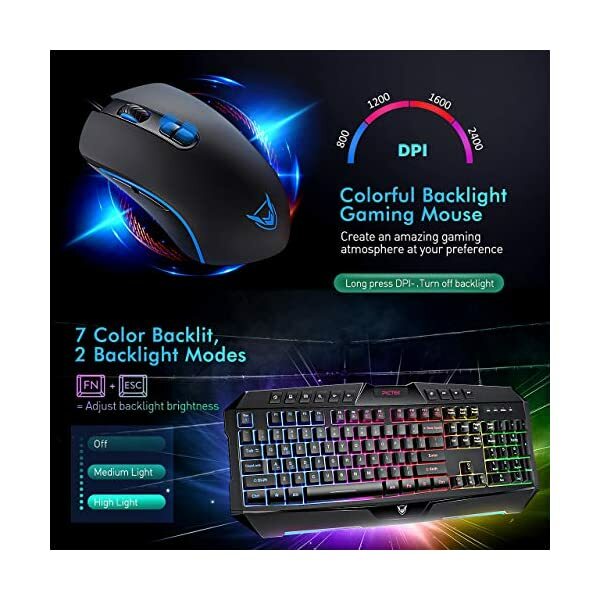 【ADJUSTABLE RAINBOW BACKLIGHT】 Multicolor backlight gaming keyboard includes 7 Cricular and Colorful Breathing LED Light Effect, 3 adjustable LED brightness to meet your different needs, perfectly suitable for any working/gaming place especially at night. 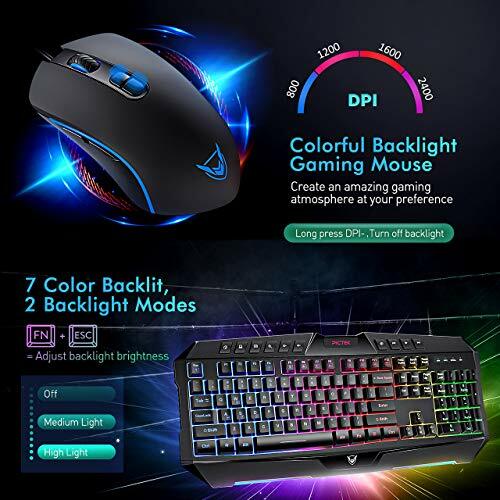 【7 COLOR-BACKLIGHT OPTICAL MOUSE】7-color RGB breathing backlight, Four levels adjustable, 800/1200/1600/2400DPI, with DPI switch flashing indicator. 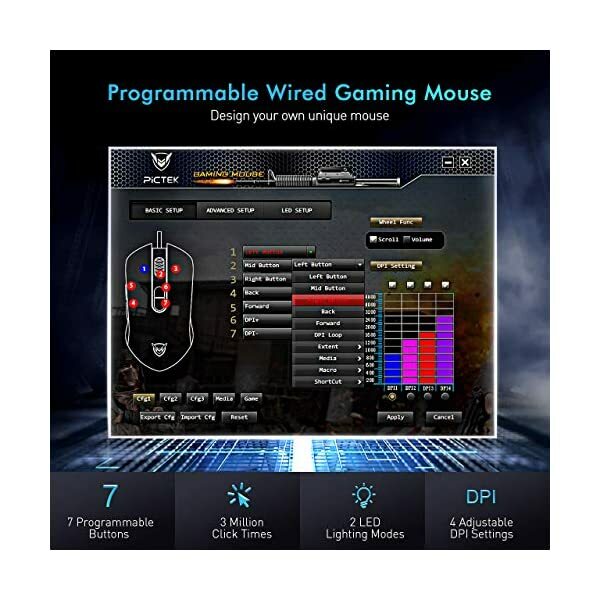 16 million color options for the backlight setting to match your style and environment. 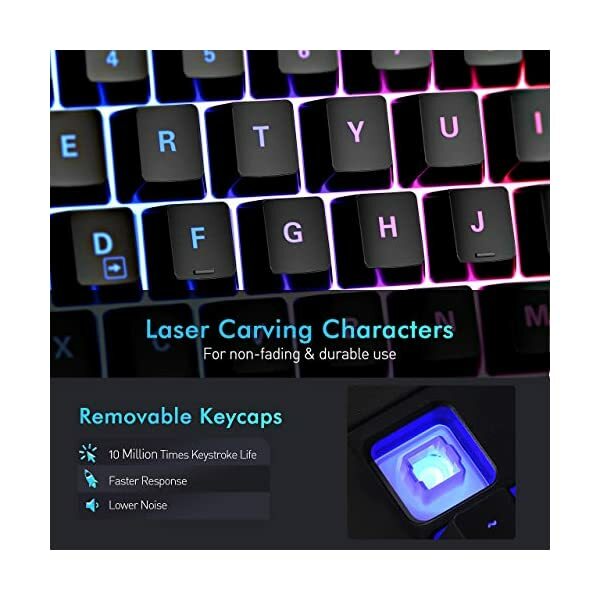 Easily shut on and off the backlight with the convenient switch on the bottom. 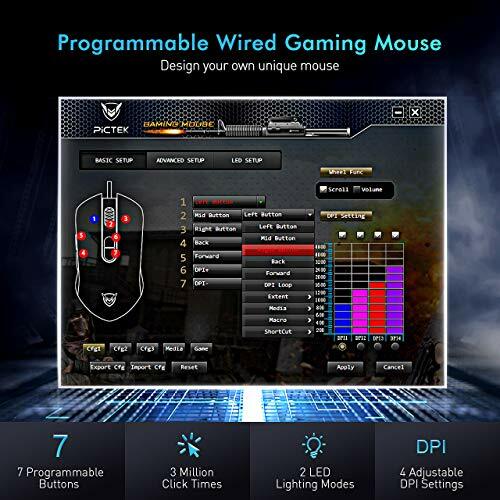 Plus, adopts High-definition optical gaming sensor, ensure quickly switch for different games. 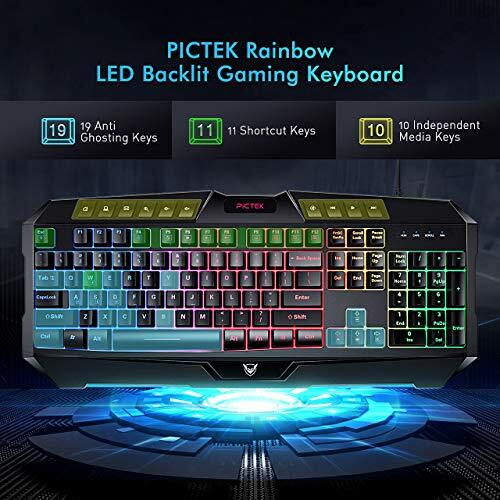 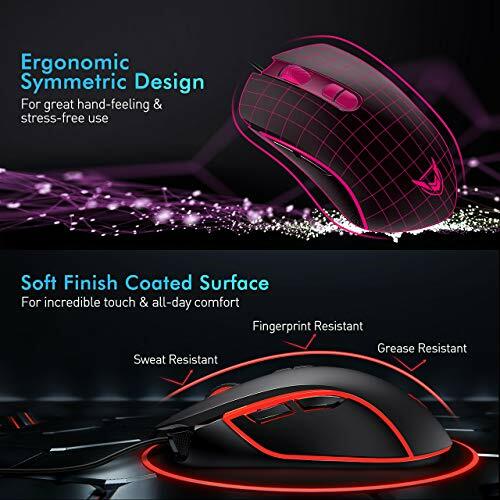 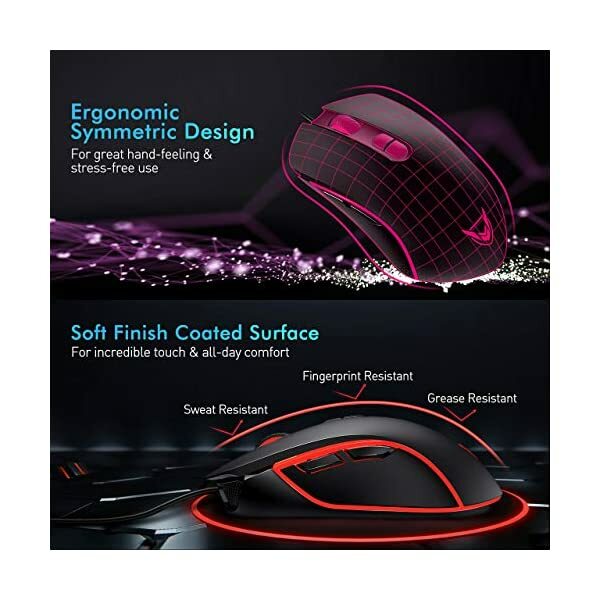 【RELIABLE QUALITY & HASSLE-FREE WARRANTY】 PICTEK Gaming Keyboard Mouse Combo, 30 million clicks lifespan, with high quality ABS materials, intricate polish manufacturing processes and meticulous assembly guarantee the functional reliability of the keyboard and mouse for years. 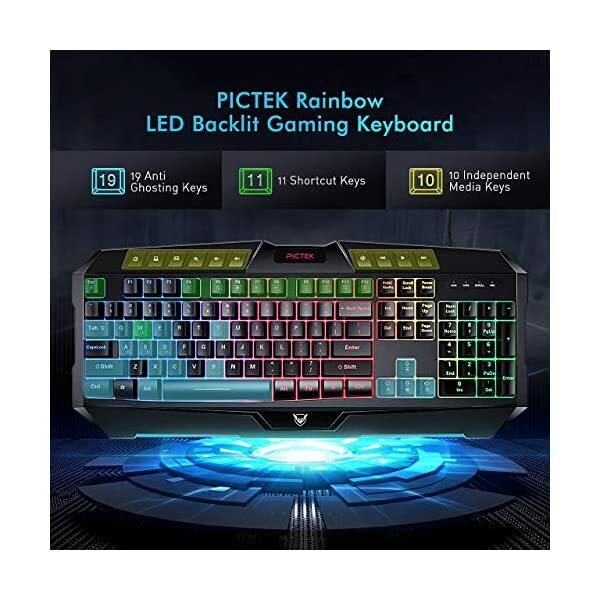 At Pictek, not only we offer high quality products, we back them up with 18-month warranty and a 30-day money back guaranty!